We heard about this place since I joined the biker’s club. Lot many people ventured this place.They explained about the ghat road.How dangerous the open forest.The misbehavior of bus drivers in the bend or curve. Somehow I felt that if you can venture this tour,you would be called a pro biker.I convinced my wife about this tour. It was almost 3 times when we cancelled the same trip. 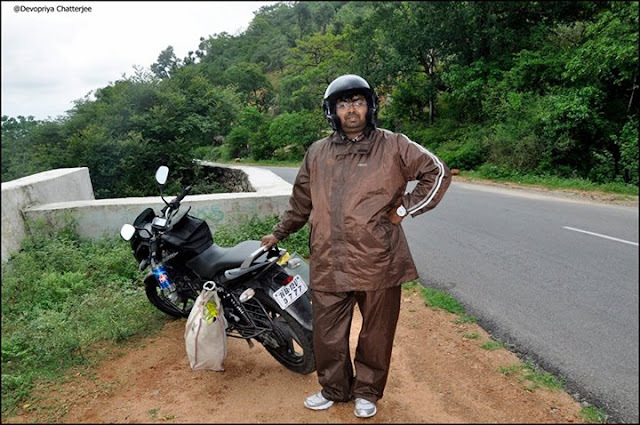 Finally in 27th of July 2014,we started our journey towards Srisailam. 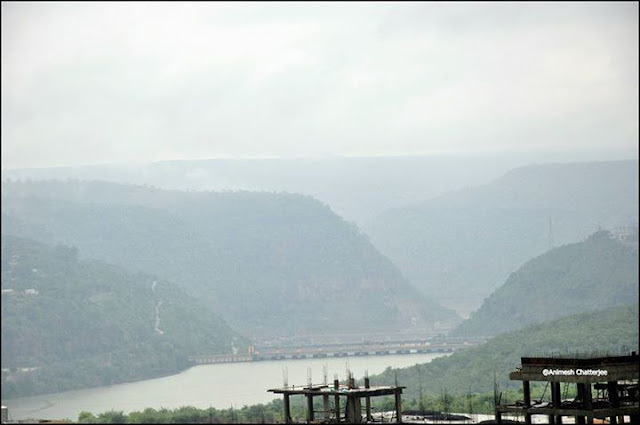 Srisailam, 250 km south of Hyderabad, is situated on the banks of river Krishna. 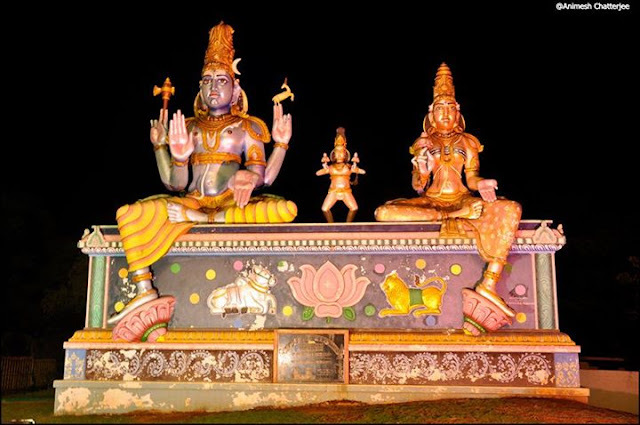 On the south bank of the river, on a 457 meter high hill, is the Bhramarambha Mallikarjunaswamy Temple. 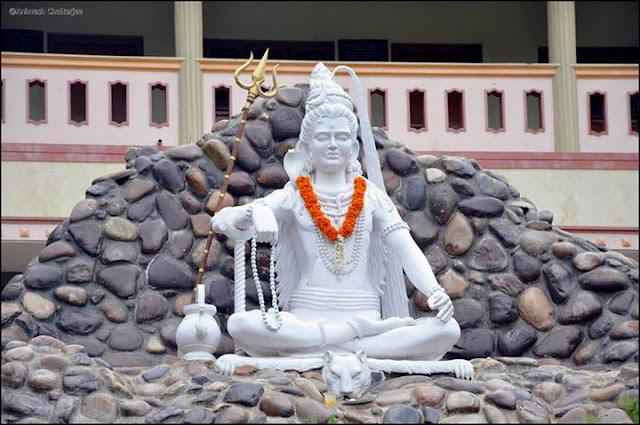 The presiding deity, Sri Mallikarjunaswamy, is one of the 12 ‘Jyotirlingams’ in India. A massive fort, with walls 6 meter high encloses the temple. A cluster of minor shrines within the temple enclosures include the ‘Sahasra Linga’ ‘Panchapandava Temples’ and ‘Vata Vriksha’. 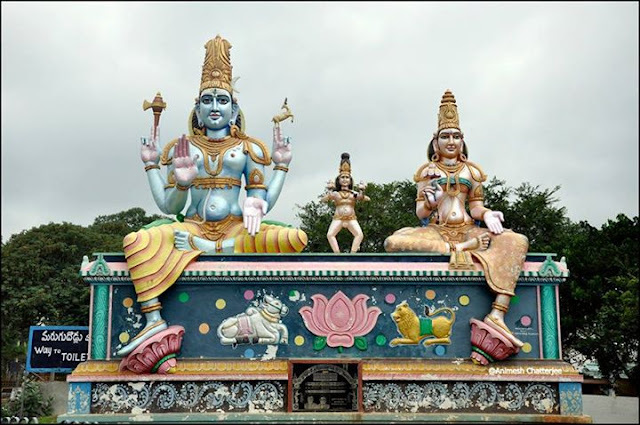 At Sikharam, the highest of the Srisailam hills, is Sikhareswara Swamy, a temple dedicated to Lord Shiva and Sri Ganapati Temple, dedicated to Lord Ganesh. 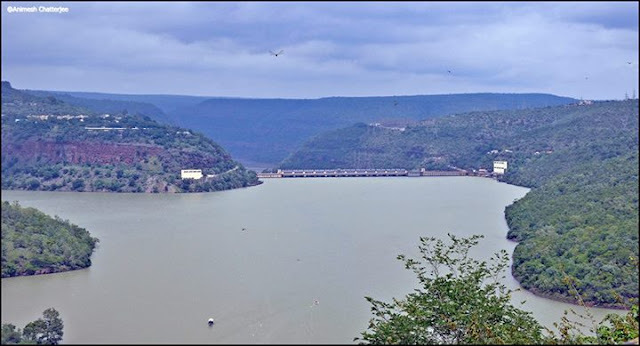 Srisailam is a holy town in Andhra Pradesh situated in the Nallamala hills on the banks River Krishna. 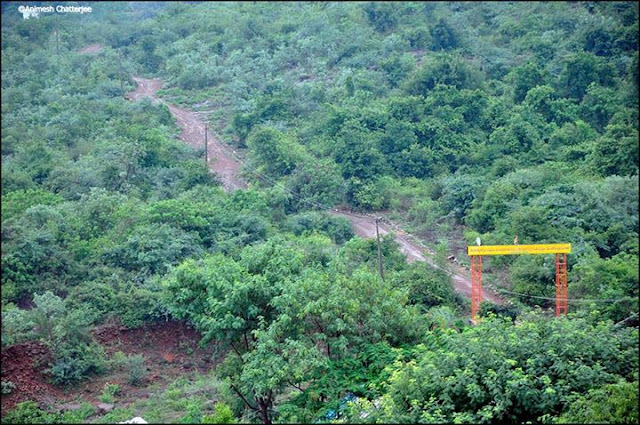 Srisailam is one of the 12 Jyotirlinga temples dedicated to Lord Shiva. Scenes from Mahabharata and Ramayana have been sculpted in stone on the temple walls.Our objective was to watchout for the ghat road, drive through the open forest and venture the lord shiva temple. 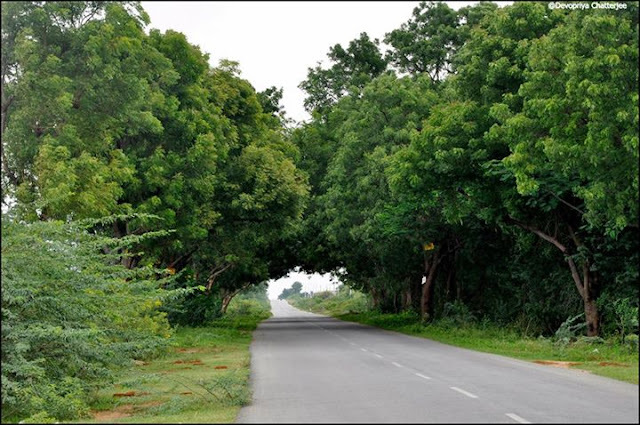 >attapur–>shamsabad road to reach airport and then crossed airport to meet Srisailam highway. here is the map for our journey.Blackberry map was guiding us.We stopped for a quick bite before dindi. It was a roadside dhaba.It served us nice omlet made of double eggs and hot tea.I made some quick calls to my biker friends just to let them know that we were on the way to Srisailam. The road till Shamsabad was full of traffic .Airport area was clean and the road was superb.But when we hit the Srisailam highway,it was having less traffic.And slowly the mobs disappeared. I initially opted for 3g pack so that we could travel smoothly but after leaving shamsabad,we came to know 3g service was not available. I would suggest the drivers to have gps device or offline map handy. After we crossing 20KM from dindi we had to take left.But my blackberry suggested me to take right. I believed it and went some 40KM ahead toMehbubNagar. Real drama started then. I asked a police booth,they got astronished and suggested us to go back to Kalwakurthi and take a left from there.Just then it started drizzling.I understood blackberry map broke up.It could not guide us any more. By asking locals we took another root which connects Mehbubnagar with Srisailam. It was raining heavily then.The locals could not help us more due to language problem.We were getting drench just below a tree. Finally my wife took her Nokia and started map.This trick worked like a champ. As there was no internet blackberry stopped working. I mounted Nokia on handlebar and started our next course of journey. Odometer was showing 200KM. Rain started heavily.We took shelter in an abandoned bus stop. When down pore became little less we resumed our journey.The road was not smooth but was not that bad. It was narrow in some places. Along with these bullock carts,tractors, two wheelers made us slow. My suggestion would be to go slow and watch out for the road. After running some 40KM,we saw the road is straight and went up the hill. 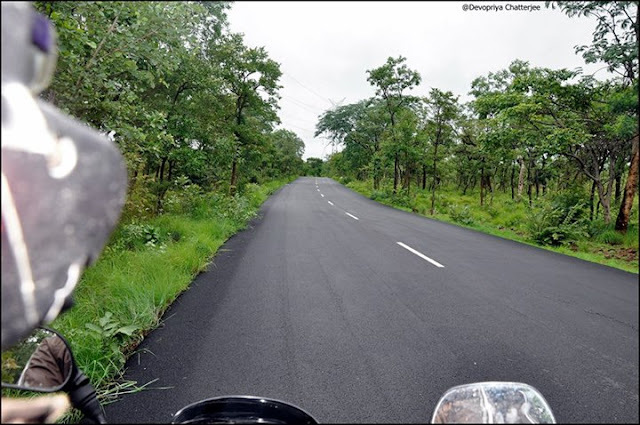 We finally reached the tiger reserve forest[Nallamalla forest range].We had little tea.As it was raining havily.There were not much of checking.We started our jungle juorney.There were many speed breaker here and there. So I had to drive very slowly and patiently. Drive through the forest was very good. Being in the morning that too with heavy rain made other passengers away. The road was empty. It was scary some times. 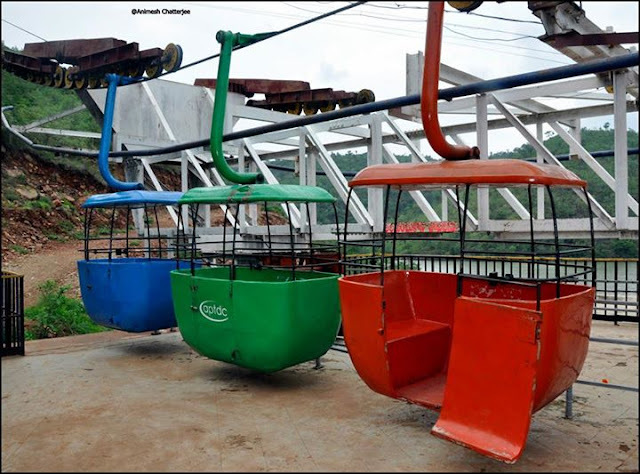 Oh,There were monkeys on the way. I had to drive very carefully.Finally we saw the road going up to the hill. We stopped there.It was raining.But the beauty was awsome.We resumed our journey in the heavy rain again. By the time we were fully drenched.The curves were exiciting and bus drivers were kind enough. I followed rather obeyed them patiently.It worked.They gave us way by stopping in a curved. I thanked the bus driver. We stopped a small tea shop.Since it was raining heavily and there were no female around. We dropped the idea for the water fall inside of the forest[Paladhara Panchadhara (Small Water stream from forest)].Throughout the journey I was on headlight-Hella projector two LED lamps and a flashing light.Just in case if somebody missed to see me.It was raining so heavily I could only see the white line just in between of the road.I could not take any pictures as opening a DSLR was bit risky in rain.When we were on top,we find cloud touching us. It was a memorable experience. Just like Dargelling. after a cup of tea we slept. In the same day,in night we went to a tribal museum. 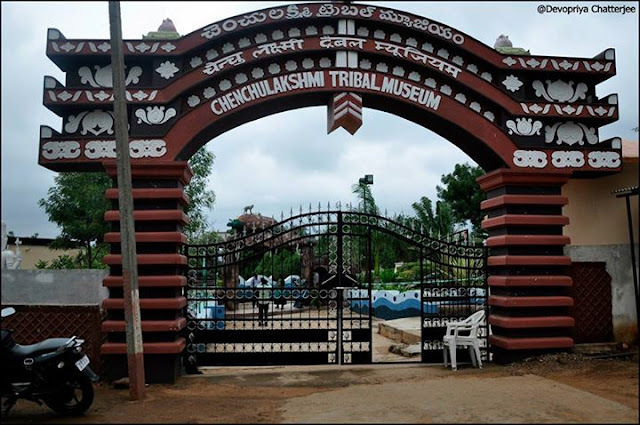 It shows the cultural habits of local tribal people – “Chenchus”.It was worth visit.photography was prohibited.So did not take picture.It depicted the lifecycle of different tribals.We came back to our hotel.Then had a tasty mini andhra meal.Yes,it was mini meal.in 200 rs what extra could we expect? After this nice meal,we went to our private balcony. We saw a nice sleeping Srisailam. Next day,we saw sunrise from our hotel balcony and proceed to the temple for lord shiva darshanam. I must say that the temple was a superb piece of art and magnificent architecture.we took VIP ticket for Rs 500. Within half an hour we finished the darshnam.We saw Kailash Sikhar (One needs to watch temple from Nandi). We had breakfast near the temple and proceed to patal ganga. By the time we reached there,the only boat that ferried between Srisailam to Akkamahadevi Caves left. We were late by 20 minutes. By no mean we could get another boat before the next day,we went to see patal ganga.Govt has setup a rope way all the way down to get the ferry. The steps were made of stone and clay. Not suitable for elderly.Even we struggled to got down there.